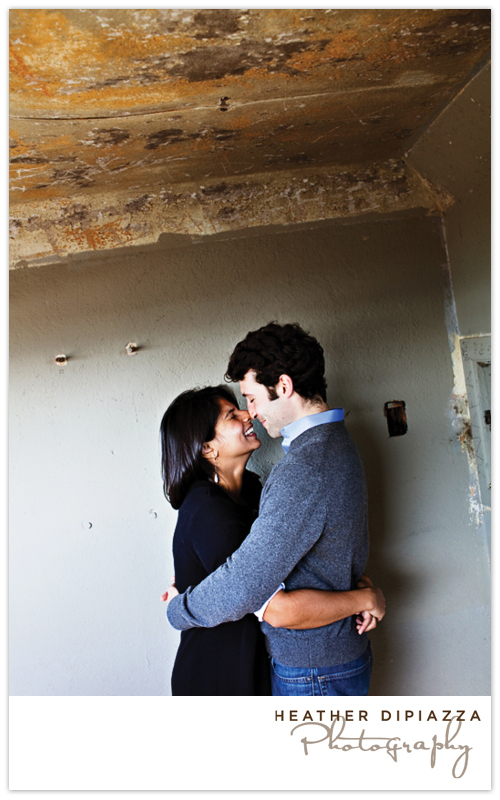 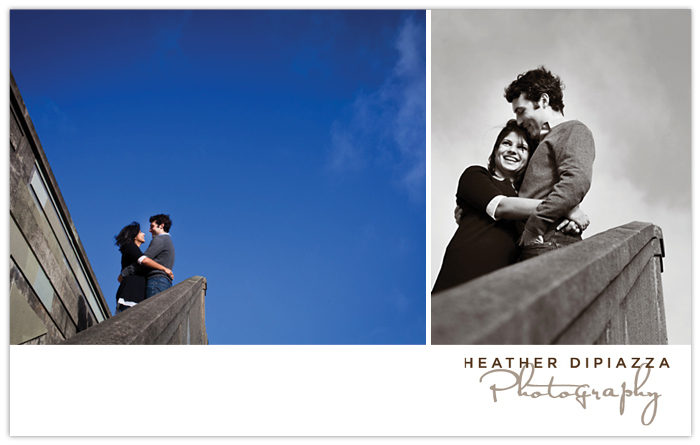 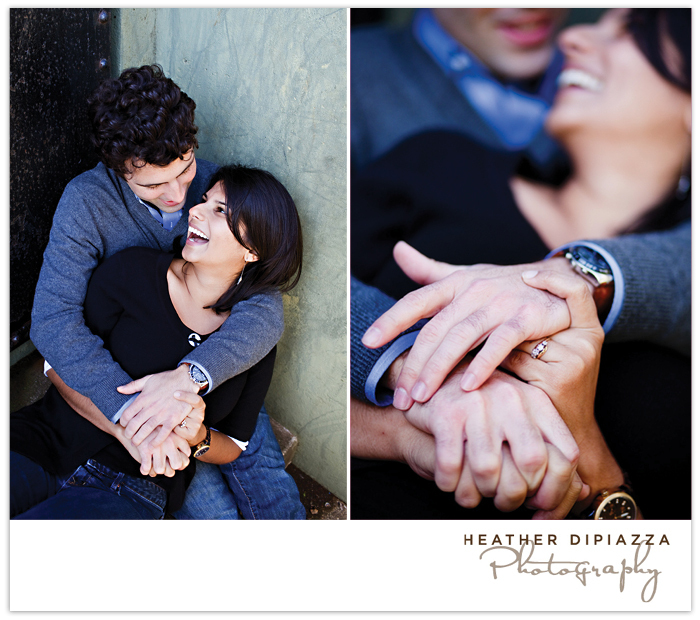 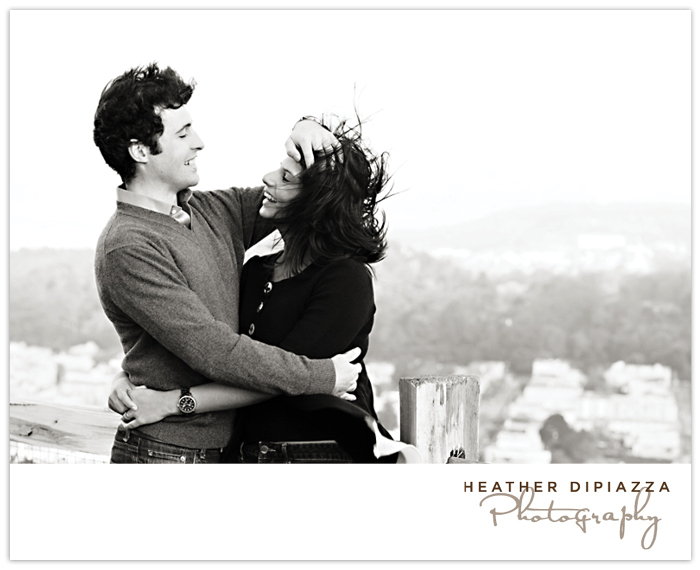 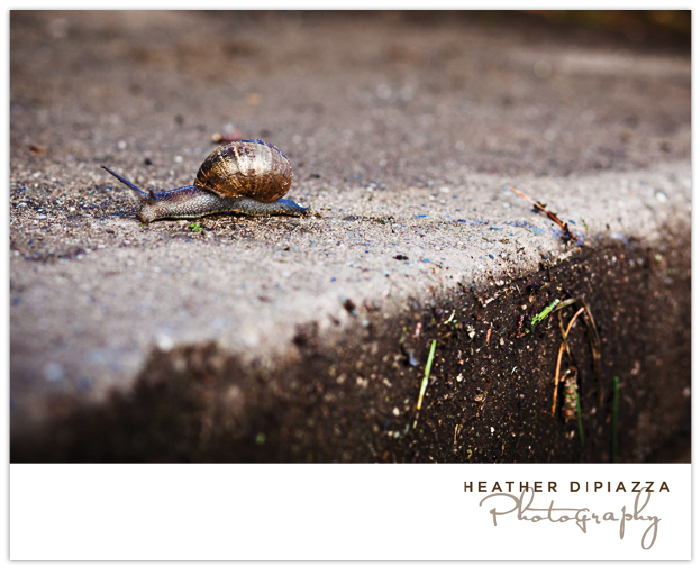 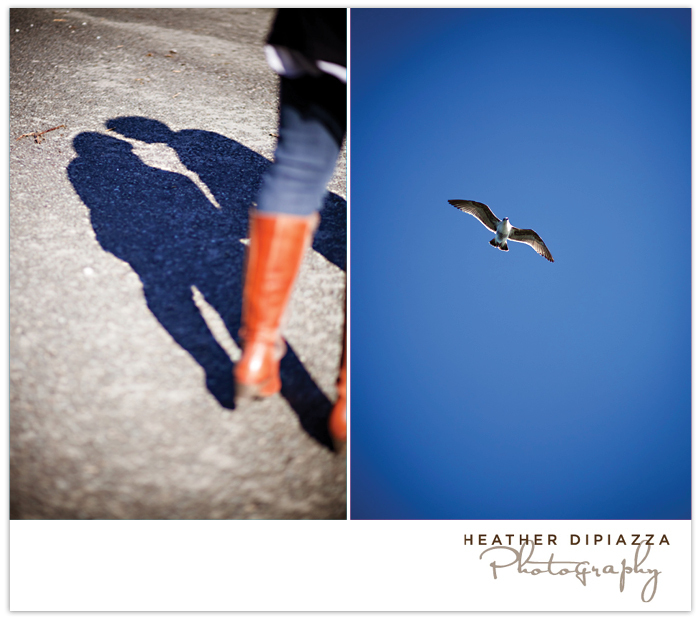 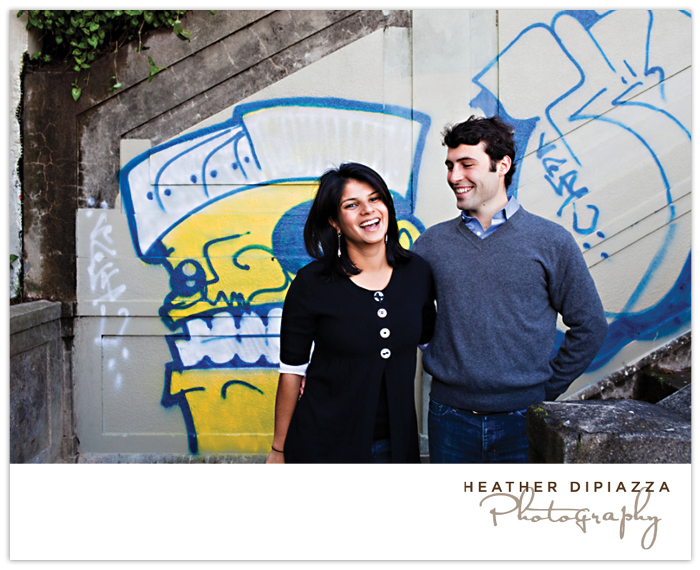 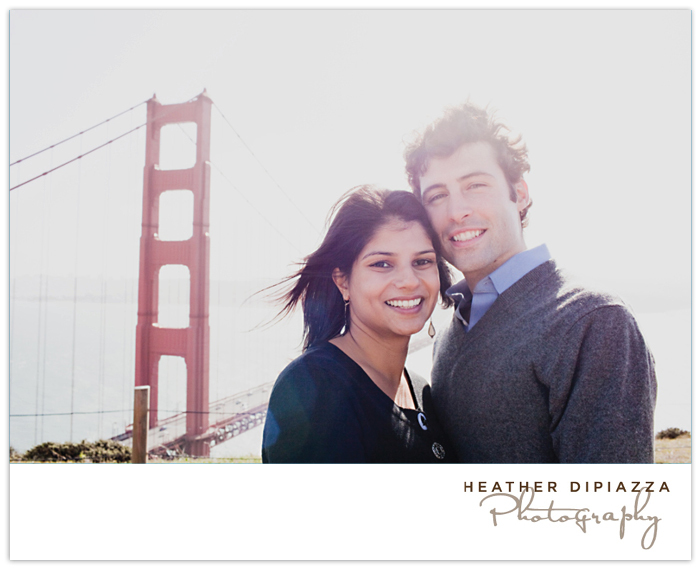 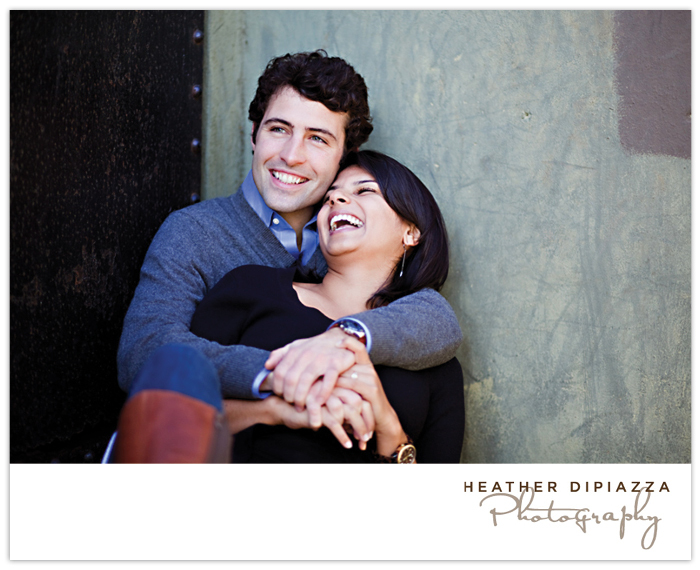 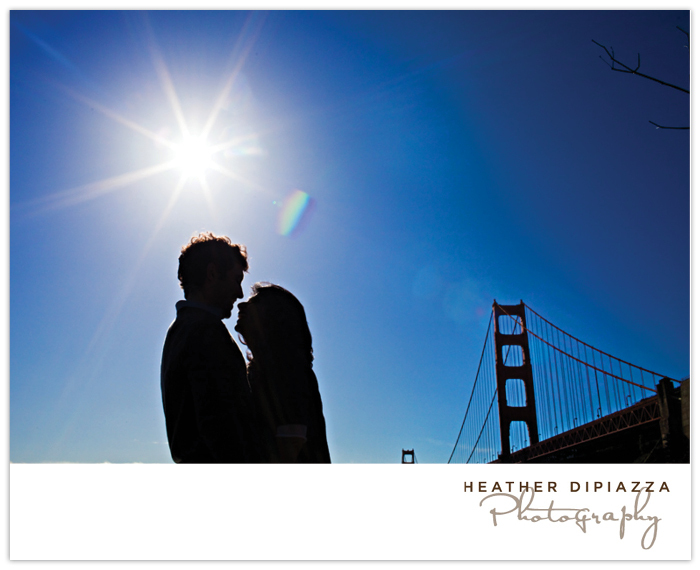 Heather DiPiazza Photography: Piya+Remy :: Engaged! 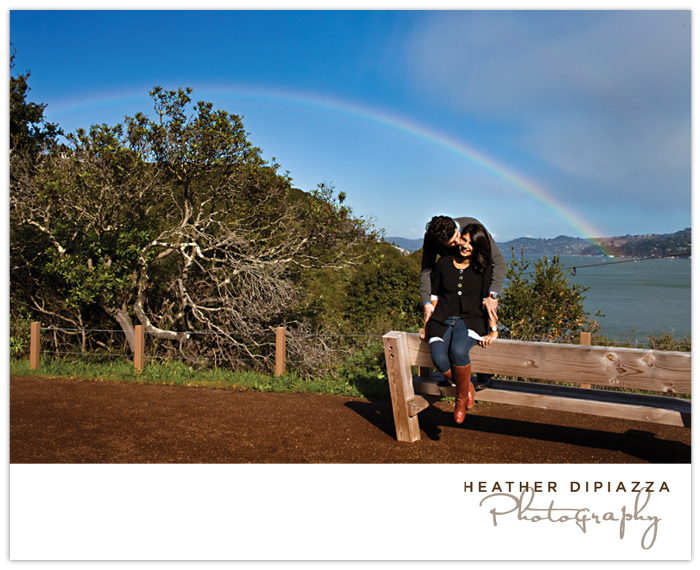 Oh, San Francisco... each time I return there's something new and wonderful that adds another layer to how lovely, inspiring and invigorating you are. 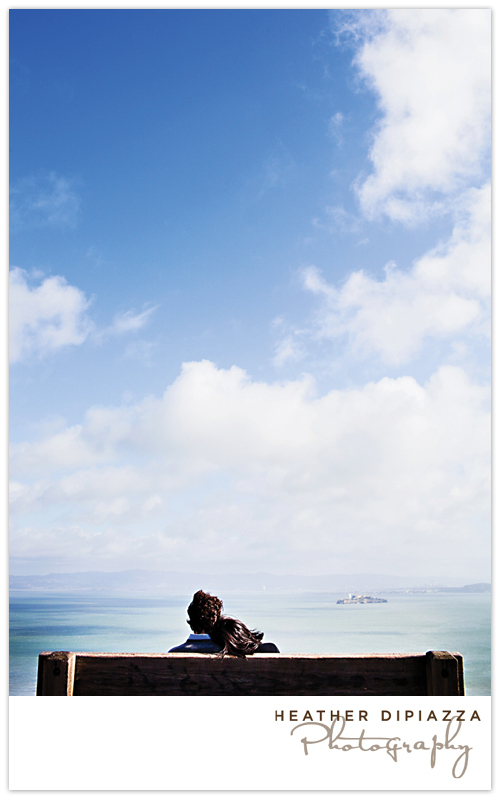 As Mighty Girl puts it: "...if you visit and don’t want to come back, there’s only one possible reason. 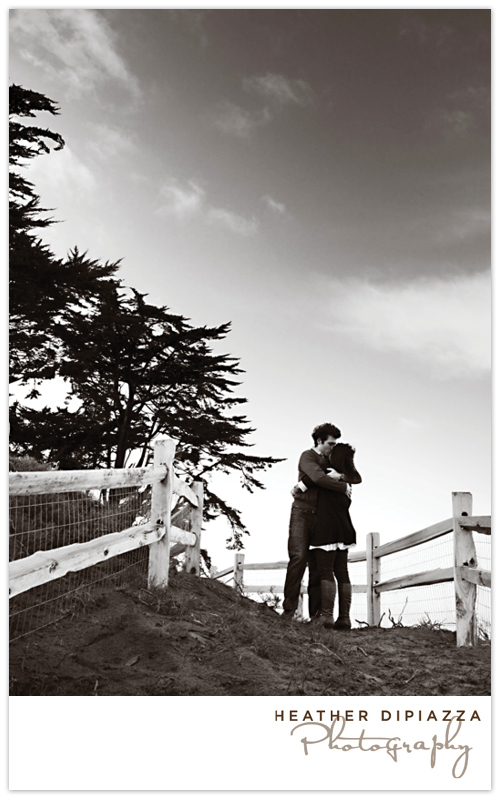 You did it wrong." 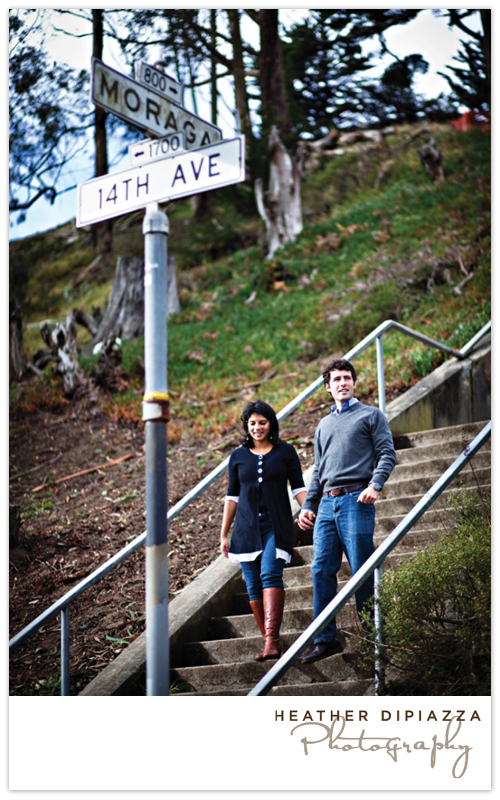 It's no wonder why Piya and Remy, a native East Coast couple who love the outdoors and the bustle of a vibrant city, picked this place to call home. 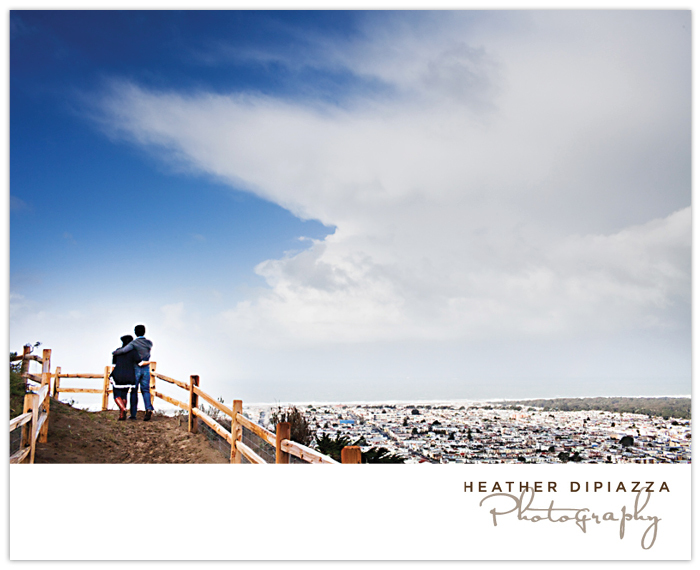 A few weeks ago we explored their home turf, hiking up to Sunset Heights Park, which is just around the corner (or should I say up the hill) from their place. 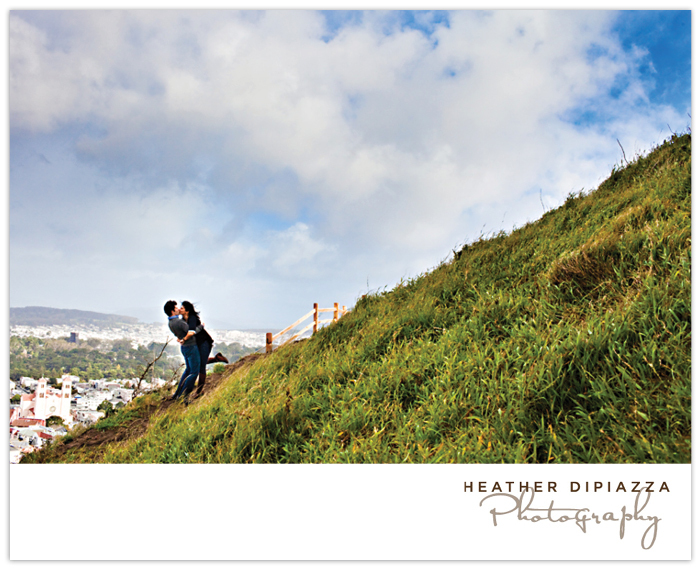 Imagine having your own green, windswept peak to hike up to, enjoy your morning coffee, and gaze across the city to the ocean. 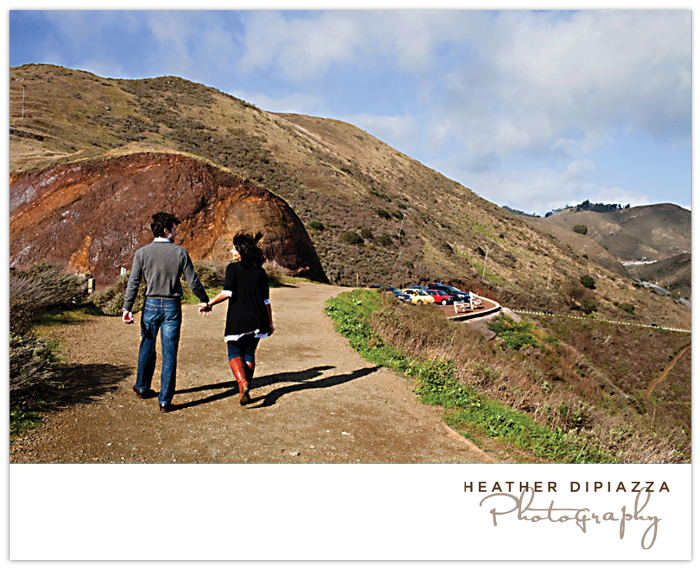 Once a sunshower approached we headed for the Golden Gate Bridge and Marin Headlands, which was yet again, breathtaking. 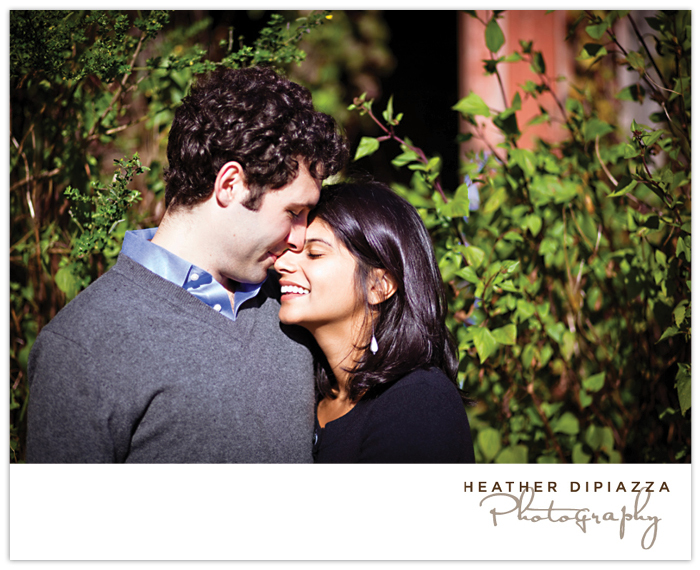 Can't wait for their wedding - coming up this July in Vermont!